As many would know, Dermalogica lost its Leaping Bunny cruelty-free status in/around 2012 when it was revealed that the company was distributing its products in China. This was a huge surprise at the time, and sent shockwaves through Dermalogica’s loyal consumer base since the company had a solid ethical background, and until then had never taken part in animal testing. Anyway, long story short, Dermalogica pulled up their ‘cruelty free’ socks and regained their PETA and Leaping Bunny ticks of approval. I’ve long admired the brand and loved the back story – founded and owned by a strong lady who gives back through her foundation to support the lives of women and children – but have always found it just a little too expensive for everyday use. With the passing of a ‘difficult’ birthday last year however, I decided it was time to find some ‘big guns’ to slow the southward progression of my under eyes, jowls and neckline. After much deliberating I selected the Dermalogica Super Rich Repair and said a little prayer than it would return my skin to its former decade glory. 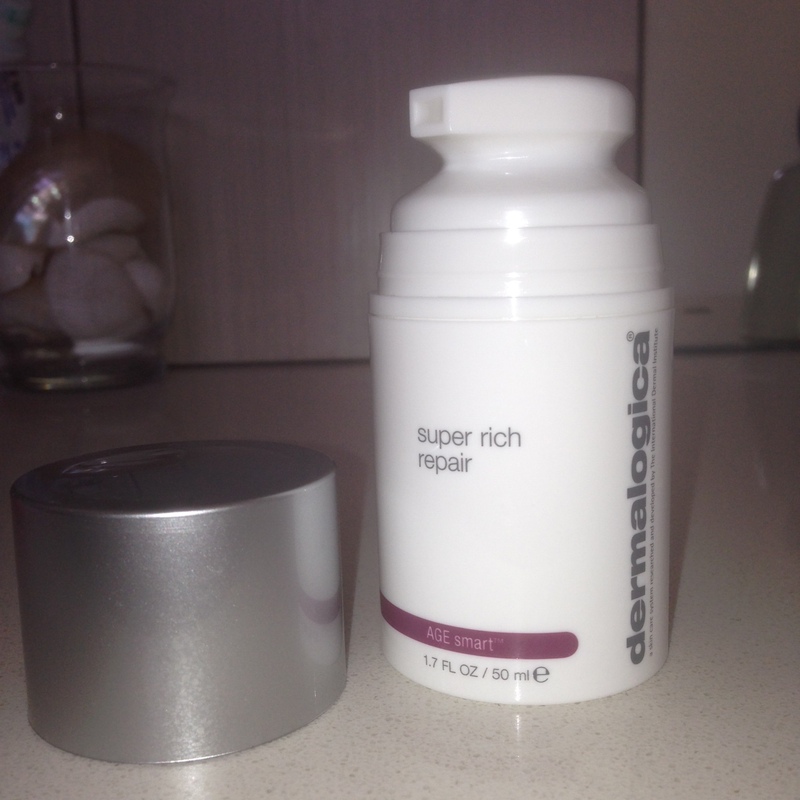 The first and most obvious thing about Dermalogica Super Rich Repair is that it is indeed, without doubt, undeniably, SUPER RICH! At AU$115 for just 50ml I was hoping that a little would go a long way. It is in fact quite the opposite and you need a lot to go a little way. The thickness of the cream is truly luxurious and I can’t deny that it is very hydrating, but I can’t honestly say that I’ve seen any other age defying benefits. Maybe I’m not using enough, or maybe it has to be used along with other products from the range. I had originally wanted to buy the overnight serum to try as well, but at AU$95 for 15ml that had to be a purchase for another day. Don’t get me wrong, I really like it as a night time moisturiser – and would continue to use it if it wasn’t so expensive – it just hasn’t created results that make me easily give up my week’s food shopping for a moisturiser going forward.